Domenicali moves to Lamborghini from Audi. MILAN (Reuters) -- Volkswagen's Italian supercar brand Lamborghini named former Ferrari Formula One team boss Stefano Domenicali as its new CEO, replacing long-time chief Stephan Winkelmann. Domenicali, who has been vice president for "new business initiatives" at Lamborghini's parent Audi since November 2014, will succeed Winkelmann on March 15. Winkelmann, 51, will on March 15 become head of Audi's high-performance car division quattro GmbH, which builds Audi's top-end R sports car. 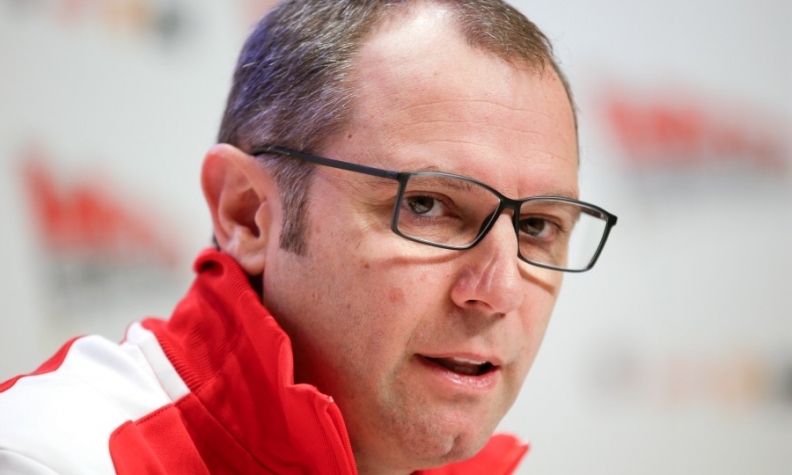 Domenicali, 50, ran Ferrari's Formula One team prior to joining Audi. He resigned as Ferrari F1 team principal in 2014 after 23 years with the supercar brand. Winkelmann is a former senior manager at Fiat Chrysler Automobiles' predecessor company Fiat. He has been in charge of Lamborghini since 2005. Under his watch, Lamborghini deliveries have more than doubled to a record 3,245 cars last year while revenues have more than tripled. Winkelmann won approval from parent VW last year for a third model series, the Urus SUV. The Urus, the brand's third model, will be built alongside the Huracan and Aventador supercars at the brand's factory in Sant‘Agata Bolognese, Italy.